Soapie royalty were welcomed to the inaugural Royalty Soapie Awards by screams from fans who lined up on the red carpet to catch a glimpse of their favourite soap stars. SA's Soapie stars were welcomed to the inaugural Royalty Soapie Awards by the screams of fans who lined up on the red carpet to catch a glimpse of their favourite stars. 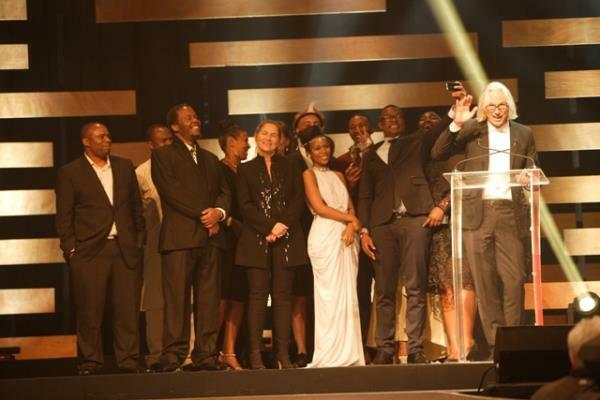 Mzansi Magic's Isibaya stole the show with 10 awards from the 18 categories. Another big winner was Binneland, which took home the coveted Favourite Soapie award. Lifetime Achievement Award awarded to veteran Shaleen Surtie-Richards for her contribution to the industry. It was the actress’ 48th award in her 30 years in the trade. She used the opportunity to advise young actors to get into the industry for the love of the craft and not fame. “Fame won’t pay the bills,” she said. After Isibaya taking most the awards, few were left for other heavyweights like Isidingo and The Wild. Popular soapie, Generation was unable to secure even a single award.